Oxidase test is a procedure used to determine the existence of cytochrome c oxidase enzyme. What the system does is it helps the movement of electrons between redox dye- tetramethyl-p-phenylene-diamine and the bacteria’ electron donors. It helps identify bacteria capable of producing cytochrome c oxidase; an enzyme present in the bacterial electron transport chain. It is called oxidase test because if the enzyme is present, the enzyme will not lead to oxidation of the reagent thereby producing purple color end product (indophenols). 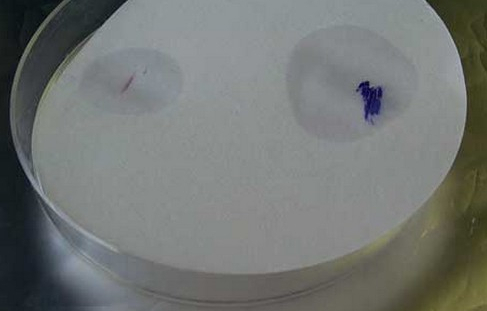 Image 1: The image shows an aerobic bacteria set for oxidase test. 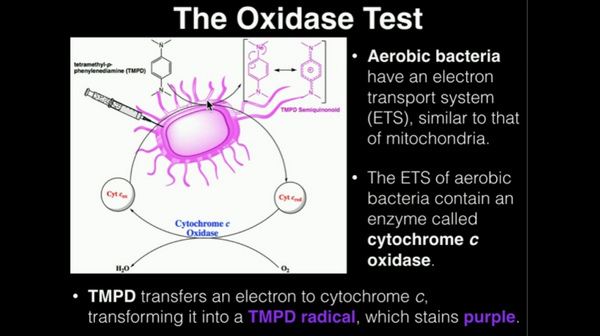 Bacteria that test positive for oxidase test are aerobic. They can make use of oxygen in respiration. On the other hand, bacteria that test negative for oxidase test can be aerobic, anaerobic, or facultative. What is the purpose of oxidase test? It helps determine if the organism has a cytochrome oxidase enzyme. It helps in differentiating certain strains of bacteria like Moraxella, Neisseria, Pasteurella species, and Campylobacter. Image 2: Wet filter method oxidase test. Image 3: Dry filter method oxidase test. Image 4: Direct plate method oxidase test. 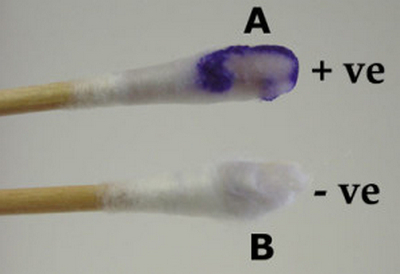 Image 5: Swab method oxidase test. Image 6: Test tube method oxidase test. Oxidase test can be done using various methods. We will discuss the commonly used methods below. Soak the filter paper (Whatman’s # 1) in a 1% tertramethyl-p-phenylene-diamine dihydrochloride solution. Drain for about half a minute. Freeze dry the filter paper and store in a bottle; preferably the dark one and with a cap secured by screws. 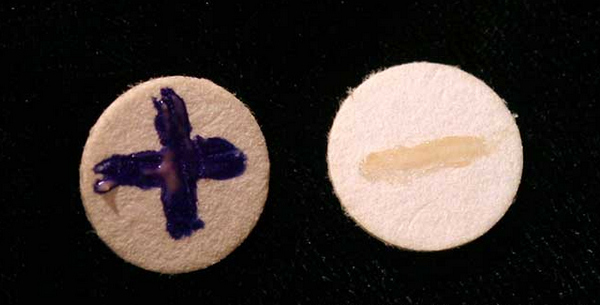 If used, it is a must to remove the strip, use distilled water to moisten the strip and put in the Petri dish. Using the loop (platinum), pick the colony and smear over the moist section. Wet Filter Paper – It is called the wet filter paper method because the filter is soaked in a 1% solution of the reagent. Using a loop (made from platinum material), rub the culture on the filter paper. Direct Plate – Add a reagent; ideally two to three drops to the suspected colonies on the agar plate. Just add enough reagent as putting too much reagent can alter the result. Watch out for any changes in color in a span of 10 seconds. This type of oxidase test should be done on the agar plate (non-selective). Swab method – the swab should be dip into the reagent and should be in contact with the suspected isolated colony. Watch out for any changes in color in 10 seconds. Positive – The result is positive if you notice an intense deep-purple hue within 10 seconds. Delayed positive – If the deep-purple hue appeared within 60 seconds. 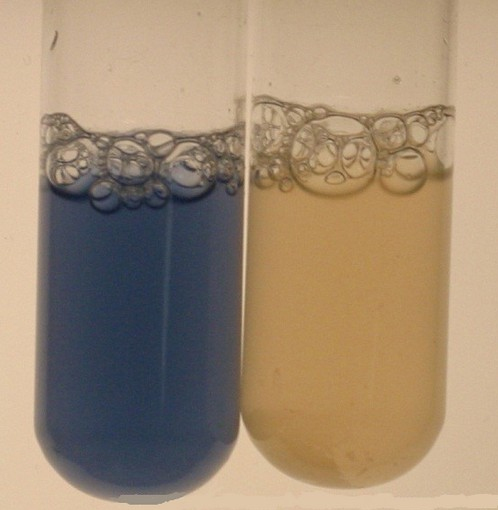 Kovac’s oxidase reagent – When using this reagent, the organisms being tested would turn out positive if the color of the medium changes to dark purple within 10 seconds. A delayed positive test is noted if the color turns to dark purple within 60 to 90 seconds. On the other hand, the test is negative is no changes in color took place after two minutes. When performing the test, there is a possibility that the reagent can auto-oxidize. Hence, it is of utmost importance to use only fresh reagents. For the reagent to be considered fresh, it should no longer than one week. It is important to check the colonies on the media that do not contain excessive sugar like nutrient agar and tryptic soy agar. A high concentration of glucose in the media leads to a false positive result. The result may be aberrant if the microorganism being tested is grown on the media containing dyes. Perform sub-culturing before adding the reagent on the active culture as some reagents can kill the microorganisms. Oxidase test is helpful in identifying Neisseria as well as identifying and differentiating gram-negative bacilli. To find out the gram reaction and morphology of the organism being tested, it should be checked using gram stain. Always use platinum loops. Using loops that contain iron may lead to a false-positive result. A false negative result is possible if the reagent or strips used are less sensitive.